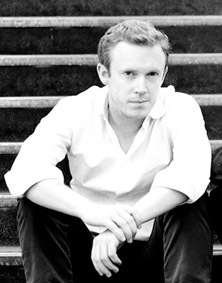 Daniel Harding is one of the brightest of a new generation of conductors. He is the Music Director of the Swedish Radio Symphony Orchestra, Principal Guest Conductor of the London Symphony Orchestra, and Music Partner of the New Japan Philharmonic. He was honoured with the lifetime title of Conductor Laureate of the Mahler Chamber Orchestra. He is a regular visitor to the Dresden Staatskapelle, the Vienna Philharmonic (both of which he has conducted at the Salzburg Festival), Royal Concertgebouw Orchestra, the Bavarian Radio Orchestra, the Leipzig Gewandhausorchester and the Orchestra Filarmonica della Scala. Other guest conducting engagements have included the Berlin Philharmonic, Munich Philharmonic, Orchèstre National de Lyon, Oslo Philharmonic, London Philharmonic, Royal Stockholm Philharmonic, Santa Cecilia Orchestra of Rome, Orchestra of the Age of Enlightenment, Rotterdam Philharmonic, Frankfurt Radio Orchestras and the Orchestre des Champs-Elysées. Among the American orchestras with whom he has performed are the New York Philharmonic, Philadelphia Orchestra, Los Angeles Philharmonic and Chicago Symphony Orchestra. In 2005 he opened the season at La Scala, Milan, conducting a new production of Idomeneo. He is a regular guest in Milan where he has conducted productions of Salome, double bills of Bluebeard's Castle and Il Prigioniero, and Cavalleria Rusticana and Pagliacci, and Falstaff which opened La Scala's programme of Verdi celebrations in 2013. His operatic experience also includes The Turn of the Screw and Wozzeck at the Royal Opera House, Covent Garden, and Ariadne auf Naxos, Don Giovanni and Le nozze di Figaro at the Salzburg Festival with the Vienna Philharmonic. Daniel Harding's extensive discography includes Mahler's Symphony No. 10 with the Vienna Philharmonic Orchestra, Orff's Carmina Burana with the Bavarian Radio Symphony Orchestra, and Billy Budd with the London Symphony Orchestra (winner of a Grammy Award for best opera recording). In 2002 he was awarded the title Chevalier de l'Ordre des Arts et des Lettres by the French Government.